Okay, you caught me. 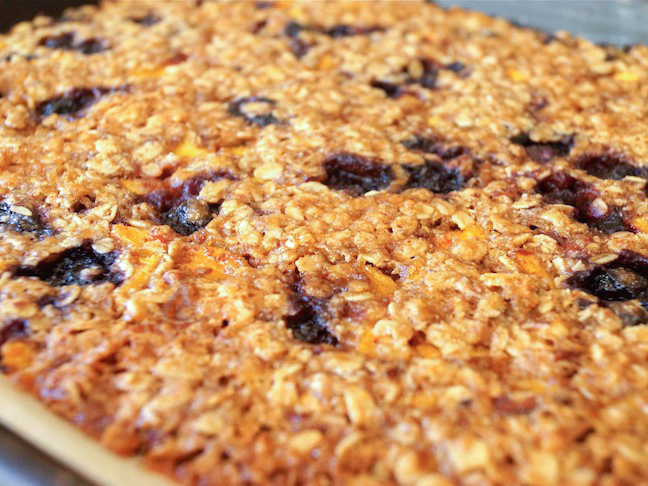 It’s dessert for breakfast—or at least it’ll taste that way. I don’t know about your kids, but if they’re anything like mine, the first day of school isn’t something they’re too excited about. On the first day of school, there’s more than one reason breakfast is the most important meal of the day. Sure it’s healthy to eat a good meal before starting the day—but it’s also extremely important to set the mood. 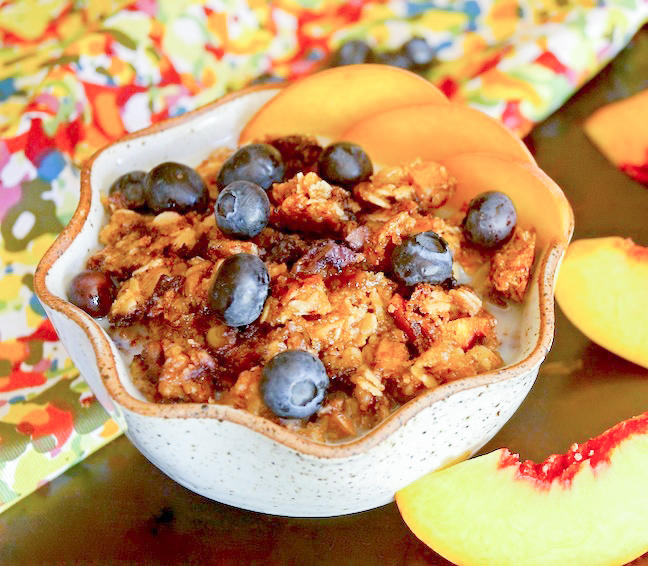 And waking up to this peach-blueberry granola crisp recipe will certainly set a fantastic mood, preparing them for a great first day of school! Step 1: Preheat the oven to 350 degrees F and line a baking sheet with parchment paper. Step 2: In a large mixing bowl, mix the butter with all but 2 tablespoons of the sugar until smooth. Then blend in the vanilla, cinnamon, and salt. Step 3: Use a large spatula to mix in the oats and almond meal. Step 4: Then fold in the blueberries, peaches, and pecans. 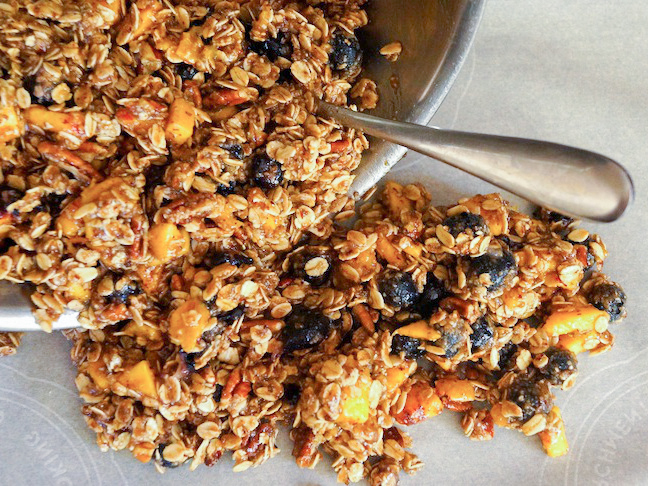 Use the back of a spoon to mash about half of the blueberries, and mix together until everything is well blended. 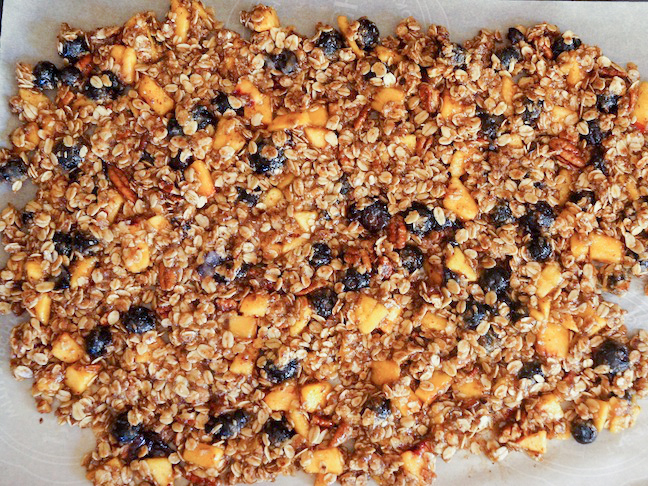 Step 5: Pour the granola mixture onto the parchment-lined baking sheet and use your hands to spread it out. 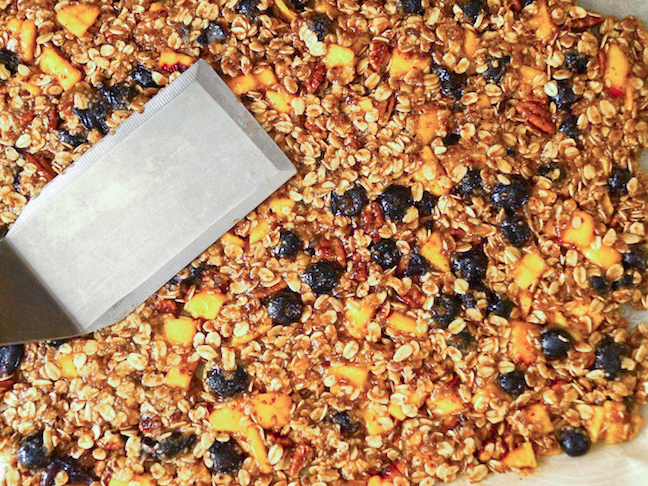 Step 6: Then use a metal flat-bottomed spatula to flatten out the granola to about ½-inch thick, and sprinkle the remaining 2 tablespoons brown sugar and ¼ teaspoon cinnamon evenly over the top. Step 7: Bake in the preheated 350 degree F oven until it's a dark golden brown, about 30 minutes. Step 8: Remove from the oven and let cool completely on the baking sheet, at least 45 minutes.